A close friend of mine recently sent to me our Chief of Naval Operations’ “Navigation Plan – 2014-2018”. It is a vehicle for our Navy to provide “a vision, tenets, and principles to guide our Navy as we chart a course to remain ready to meet current challenges, build a relevant and capable future force, and enable and support our Sailors, Civilians, and their families”. In the simulated environment, users have the ability to “turn the dials” and measure and present the outcomes to those that have the ultimate obligation to make decisions. In an environment where the only certainty is uncertainty, decision makers are afforded opportunities to investigate distinct outcomes based upon methodical manipulation of inputs, constraints, and scenarios. This is precisely the type of environment ProModel has created with the Naval Synchronization Toolset. Our software development team has designed and implemented a customized web-enabled tool which allows its users to build, test, and present courses of action which source Navy Squadrons to Air Wings, and Air Wings to Aircraft Carriers. The result is a Master Aviation Plan (MAP) which bridges 30 years of sourcing decisions and is “THE” plan for Naval Aviation to support the CNO’s Navigation Plan. Additionally, we have provided an integrated decision support tool to the FA-18 Class Desk for effectively managing the aircraft inventory well into the future. The Aircraft Inventory Management (AIM) tool provides the users with the forward-leaning ability to move individual aircraft between squadrons in order to extend the life of legacy FA-18 aircraft (A-D) and proactively manage the current and future compliment of FA-18 E/F aircraft 30 years into the future. 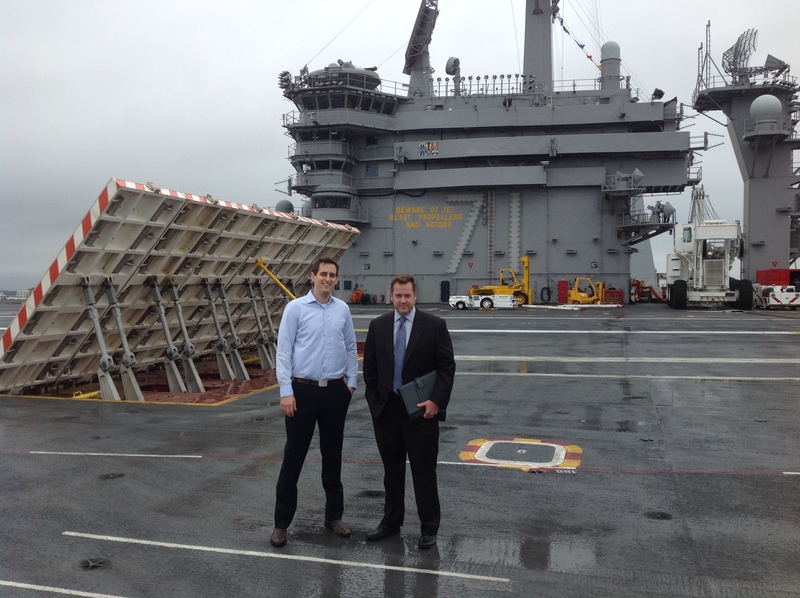 Myself and Mitch Todd (Sr. Software Architect for NST) touring aircraft carrier USS Theodore Roosevelt in Norfolk VA. 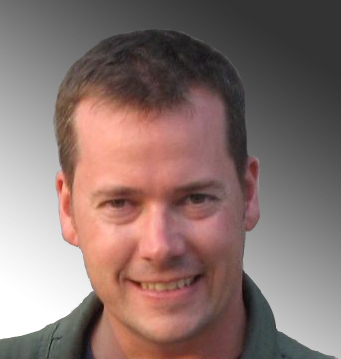 This entry was posted in General Simulation, GOV/DoD, ProModel Training and tagged capacity planners, enterprise performance, internet application solutions, predictive simulation, promodel, simulation products, simulation toolset, software, strategic planning, technology, u s navy, US Army. Bookmark the permalink. Interesting post, Robert. Can you expand more on the details of your DSS? We have a simulation group that works with the Navy on the “gaming” simulations similar to what you referred to, but we have not been involved with any simulations used in their strategy as you described. I would love to implement something here (Newport News Shipbuilding) that uses Promodel in a strategic DSS like this, so anything you can share would be great. Thanks Marc. To be clear – the Naval Synchronization Toolset is a custom solution that we built specifically for NAVAIR. The platform and engine behind it is very similar to like tools we built for the Army (AST and DST-LMI). With that said, I’d be more than happy to discuss NST with you and offer what details I can. Please contact me at rwedertz@promodel.com.